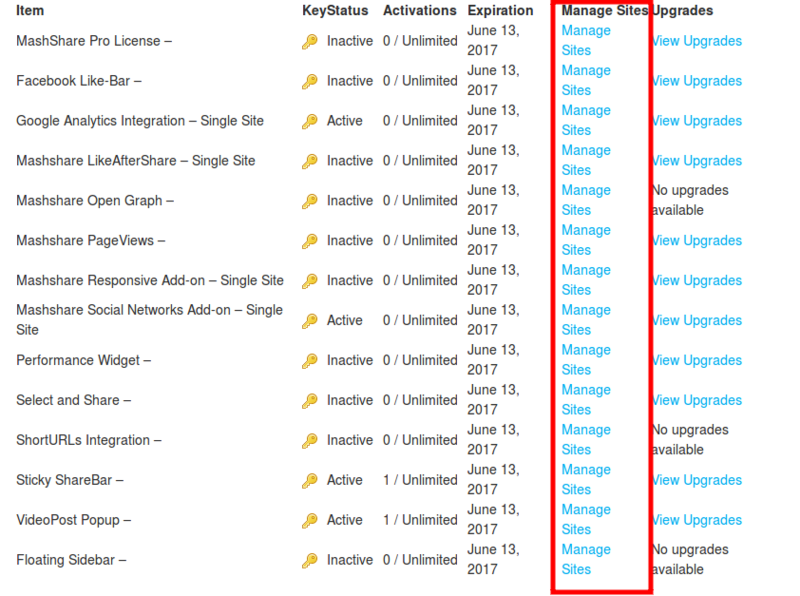 Sometimes you want to move from one site to another and need to switch the domain name MashShare is activated and licensed on. No Access or New Domain? Changing the activated domain name is very easy. 1. First thing to do is to go to www.mashshare.net and click on Account menu on the right top. 4.On your licenses page, you can click on Manage Sites link on any of the products you've purchased to manage the websites that product's licenses has been activated. That's it. If you have any questions or problems with your licenses, feel free to contact us any time. We'll be happy to help you out.